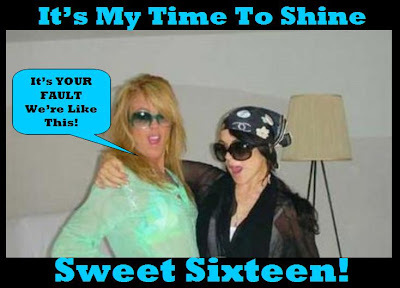 Dina Lohan is Pissed at You, Yes YOU! Well said Dina, well said. Your statement makes me think that you read my blog. Now if someone said, “her hair makes it look like the carpet doesn’t match the drapes” then that was actually probably me. Yeah, that was definitely me. By the way, the “media” may put this “ridiculousness out there,” but the media is also helping to put a ridiculous amount of cash-money in your daughters pocket and by ‘daughters pocket’ I actually mean your pocket. First, because your daughter doesn’t have pockets since she never seems to wear pants and, second, because you know some of that money goes to you too. Dina continued her rant by saying she thought the tabloids broke up the marriage of Nick and Jessica too. There’s a lot of blame out there, Dina, but who do you blame for painting “witch-like” eyebrows on your face?